Compare Car Hire for Cagliari Airport - Cheaper rental rates for estate, SUV, MPV & 7/9 seat minivan rental in Cagliari. We offer cheaper deals for car hire at Cagliari Airport, in Sardinia, with and all-inclusive rates to suit every budget. Rates have unlimited mileage, free amendments and cancellation (usually up to 48 hours before collection). Cagliari is not just a beach destination, with lots of archaeological sites that are worth taking in. 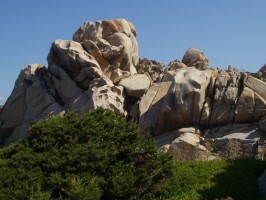 The interior region if Sardinia is rugged and mountainous, and is best explored with a 4x4 Jeep, or SUV rental. We have all the extras needed including, baby seats, roof racks and Sat Nav. Travellers headed for the island of Sardinia, would most use Cagliari, Olbia, or Alghero Airport, as their main entry point. Of the three airports, Cagliari is the biggest one. If you should need additional assistance the airport staff are available to help, please also advise your carrier in advance. Shops are located on the first floor and offer a good selection of items from jewellery and perfumes to souvenirs. Your local transport choices in the island would be airport transfer, bus, and taxi. A bus trip would take about 10 minutes from the airport to the city centre. However, there will be a 30-minute waiting time for every bus trip. Tickets to the bus has to be purchased via the bookstore, or newsstand, on the ground floor, or at the bus stop. If you're not familiar with this procedure, then using the bus could be a little too inconvenient for you. No train connects the Cagliari Airport to the city centre just yet. Most people arrive via Elams Airport, which is just 15km distance from Cagliari. A regular ferry service also operates from Civitavecchia. Ferries are also available to Palermo, Trapani and Naples, but are less frequent. Cagliari is the capital to the small but beautiful island of Sardinia. One of the main tourist attractions is to be found within the old town district of Castello. This is a medieval walled enclave, with churches and a cathedral. 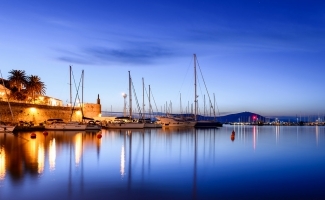 With its warmth and charm, Cagliari is an ideal base to explore the isle of Sardinia. Some form of transport is required, to really appreciate this charming island. Get discounted rental prices for convertibles in Cagliari Airport. Renting vehivles in Cagliari made easier and cheaper. Compare discounted costs for your next holiday auto in Cagliari Airport. For the energetic, bikes may be hired locally, or you may decide to rent a car. Like Italy, Sardinia has no shortage of Roman remains. Just west of Cagliari are the remains of a Roman town, with its own amphi-theatre and outdoor baths. Unfortunately, little remains of the housing, but the outlines are still visible, and with a little imagination you can step back in time. Get into your Cagliari wheels and drive further west. The main state road takes you to the delightful region of Chia, with sand dunes and a beach that stretches 11km. Another day trip which should be on your list, is a visit to Sanluris castle. It is now a museum, but was once a home to the Italian aristocracy. Walking is also very popular in Serpeddi mountain region. Also visit Muravera, an archeological site, dating back to 500 BC. 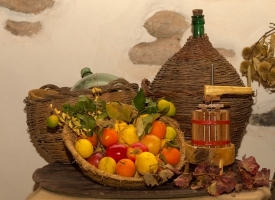 Make sure your have a stress free break, touring and sightseeing, in the region of Cagliari.